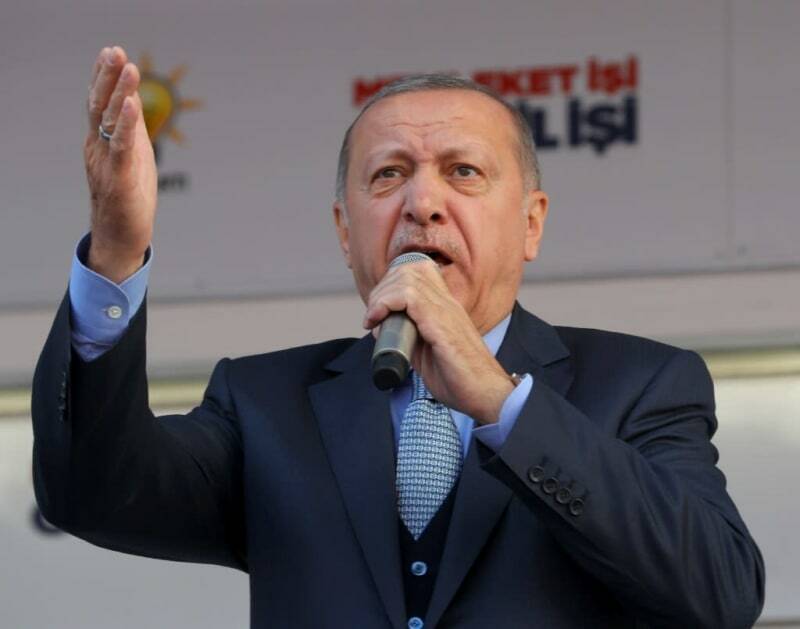 Istanbul (AFP) - Turkey's President Recep Tayyip Erdogan on Friday condemned the deadly attack on two mosques in New Zealand, saying it illustrated the growing hostility towards Islam "idly" watched by the world. The attacks on the Christchurch mosques left at least 49 dead, with one gunman –- identified as an Australian extremist -- apparently livestreaming the assault and publishing a manifesto online. "With this attack, hostility towards Islam, that the world has been idly watching and even encouraging for some time, has gone beyond individual harassment to reach the level of mass killing," Erdogan said at the funeral of a former Turkish minister. Turkish media reported the manifesto contained specific references to Turkey and ridding the famed Hagia Sophia in Istanbul of its minarets. Now a museum, the building was once a church before being turned into a mosque during the Ottoman empire. "It is clear that the understanding represented by the killer that also targets our country, our people and myself, has started to take over Western societies like a cancer," Erdogan said. The Turkish leader, who often criticises Islamophobic attitudes, called for the West to act to prevent similar attacks. After Friday prayers, dozens of people gathered outside Istanbul's Fatih Mosque -- one of the city's main mosques -- chanting condemnation of the attack and waving signs saying "Stop global terrorism" and "Crusader Savagery in New Zealand". Erdogan had earlier condemned the attack on Twitter: "May Allah have mercy on the victims and grant a speedy recovery to the wounded." Speaking in Brussels, Turkey's Foreign Minister Mevlut Cavusoglu also condemned the killing, blaming "irresponsible politicians who incite hatred against Muslims and propagate xenophobia". "There are lessons that everybody needs to learn from this attack, especially in the EU, in the members of the EU," he said after meeting with EU officials. "Hate language used against the Muslims should not be considered as a part of freedom of expression."